What is currently on your nightstand just itching to be read? 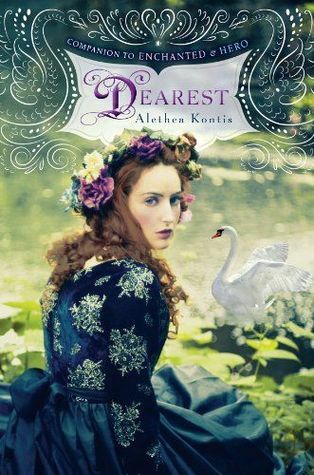 I give myself permission to drop everything when a book by Jude Deveraux or Sarah Addison Allen comes out, but with the launch of Dearest, and people coming to stay at my house next week despite the fact that it's still mid-renovations and doesn't have a kitchen sink yet....well, reading just has to wait. Though I expect if I wait too much longer, Sarah's book will start throwing apples at me. What is your go to cure for writers block? Turning off the internet. Or going to a place that has no internet, like the pavilion by the Max Brewer bridge. Also, A Curse Dark As Gold, a Rumplestiltskin retelling by Elizabeth C. Bunce. 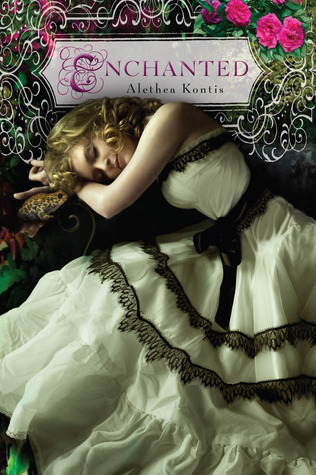 What fairytales can readers expect to find peppered throughout Enchanted and Hero? I can tell you that the "base note" fairy tales for Enchanted are "Cinderella" and "The Frog Prince". Second to these are "Jack and the Beanstalk" and "Fitcher's Bird." The base note fairy tale for Hero is "Master Maid," from Andrew Lang's Blue Fairy Book. 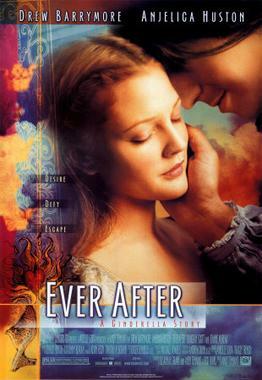 Second to that are "The Snow Queen," "Hansel and Gretel," and Shakespeare's Twelfth Night. 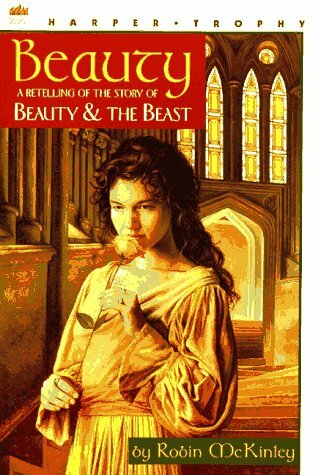 I loved how you intertwined all different Fairy Tales into one world, and a good majority of them into one family, what is your favorite fairy tale that was not included in these books? "The Goose Girl" is my favorite fairy tale, and it was technically in neither Enchanted nor Hero...however, the young messenger boy who delivers the message to the Woodcutters in Hero is Conrad -- a major character in "The Goose Girl." It is Conrad who begins the story in Dearest. I absolutely LOVED the dedication to Enchanted. It got me excited to even start reading the book! Can you tell me more about your ungrateful sister? Thank you! The dedication you're referring to ends with, "and for my little sister, who was, and always will be, ungrateful." This dedication made a LOT more sense when the first line of the book was, "My name is Sunday Woodcutter, and I'm ungrateful." My little sister Soteria is the youngest of four, and so I pulled on a lot of her "youngest child" aspects when writing Sunday. There was a particular time as a teenager when Mom called Soteria "ungrateful," and it really rubbed her the wrong way. It bothered her so much, for so long, that she even wrote a song about it called "Ungrateful." The word was an inside joke between the two of us for years, and I wanted it to be a joke inside Enchanted as well. However, because the things Sunday writes in her journal come true, if she wrote that she was ungrateful then it could be inferred that she had just MADE herself ungrateful...and Sunday by and large is not an ungrateful character. This flaw in the logic had my editor asking me to take out "ungrateful," which KILLED me. After mulling over it for a long time, I changed the line to "My name is Sunday Woodcutter, and I am doomed to a happy life," in reference to another Kontis family story. When my Aunt Theda was a young woman, she and my Nana went to a Chinese restaurant, where she got a fortune cookie that said, "You are doomed to a happy marriage." They thought it was hilarious...and then a few years later they ate at the same restaurant and my aunt got that fortune AGAIN. As a successful doctor, my aunt always put her professional life before anything else--we never thought she'd marry at all. But then she found my uncle Dave and, eventually, got that happy marriage she'd been doomed to all along. Are you two particularly like any of the sisters we find in the Woodcutter series? My older sister Cherie and my older brother West are definitely Monday and Peter Woodcutter, respectively. Because Soteria and I were so close growing up, there are elements of both of us in every single one of the sisters. Every time the sisters are fighting with or making fun or trying to one-up each other, that's pretty much me and Soteria. Sunday and her Papa are very close, are you and your Papa close as well? We are. Dad is the storyteller in our family--I mean, we all tell stories, but none of us so well as my father (despite what Soteria may think). Jokes, family anecdotes, travelogues...heck, a trip to the store with my father is an adventure (I like to think I inherited that from him). For years, Dad was The Storyteller and I was The Writer--you know the movie Big Fish? That hit so close to home, I cried for an hour after I left the theatre. I still can't bring myself to read the book it was based on. These days, Dad is a consummate writer himself. An award-winning gun engineer, he's published multiple articles in Small Arms Review, Guns & Ammo, and American Rifleman. He's even had a couple spots on the Discovery Channel, when they needed to interview an expert. Can I tell you how much I love sitting around the dinner table chatting about editors and contracts and websites and reprints? I am so incredibly proud of my dad...I'm sure as much as he's proud of me...it's a mutual appreciation society here in the Kontis household. The dedication in Hero is really touching. Your grandmothers sound like amazing women, are any of your characters influenced by them? Queen Madelyn (Rumbold's mother) was named after my Memere (Madeleine DeRonde). Perigrene's father was cursed with a "living death" that reminds me a lot of Alzheimer's. Was that the intention? Have you had to live with a relative afflicted with such a curse? Thank you for picking up on that! You hit the nail right on the head. My Memere had Alzheimer's and passed away in the winter of 2013--though the last conversation I remember having with her was in 2005. I still have a hard time dealing with it...I miss her so much. 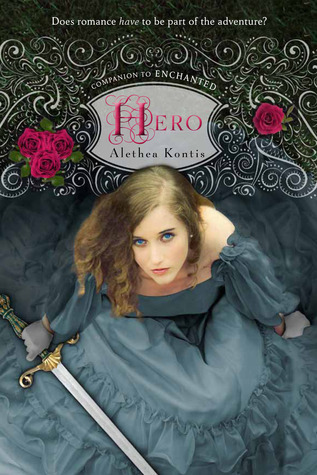 Hero was written in the fall of 2012, right before she died. I will always feel how Peregrine felt, when "he hoped one day to be half the man his father was, before his father had become half a man." I was too emotional to deliver the eulogy at Memere's funeral so I wrote one for her instead. "The Happy and Beautiful Life of Madeline DeRonde" (Read Here) is probably the best piece of writing I've ever done...but I'd erase it from existence in a heartbeat just for one more conversation with her. "I look forward to hearing the new tales, once word gets out about the witch and the mountain and all," he went on. "Instead of batting their eyes at idiots, young girls will start taking up stick swords to slay a dragon and save the prince." He chuckled at the idea. "Yes, I do look forward to that." p 272. I think it resonates with me so deeply because I was the little girl that never dressed up as a princess but was often found dressed as a knight and I always loved fairy tales where the girl is strong and saves others, or herself, or the world. All the girls in the woodcutter sisters series are very strong women, do you hope to inspire readers to be strong and take charge of their own destiny? Young people should absolutely be in charge of their own destiny. If one person has the ability to change the world, I hope my readers think that person could be them. Like Walt Disney said, "If you can dream it, you can do it." Magic absolutely exists. You just have to believe. Are the boys going to eventually get their own books as well? 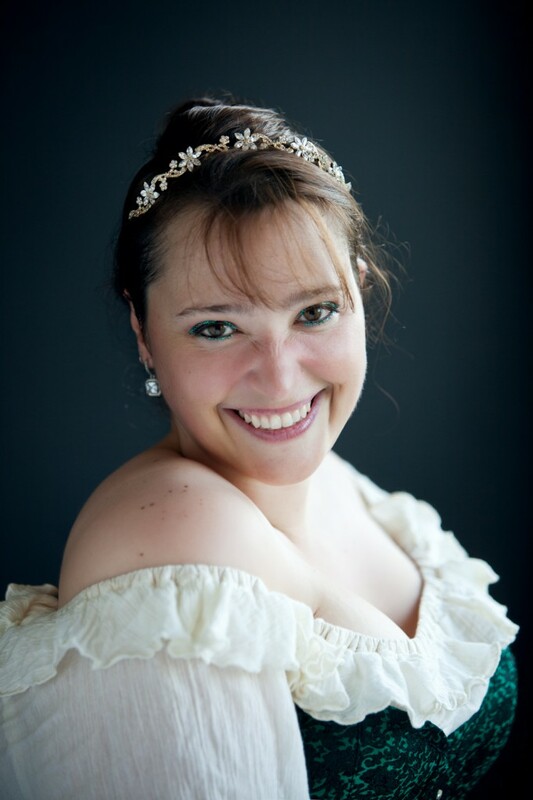 Check out Alethea's Road Tour HERE!